Dove season opens Sept. 1, and hunters need to know about important changes recently made to the regulations. One adds more hunting opportunities in the Tucson area, and another closes off some popular hunting locations in the Phoenix area. One change involves the Phoenix metropolitan area, Unit 25M, where some populated areas are now closed to hunting. 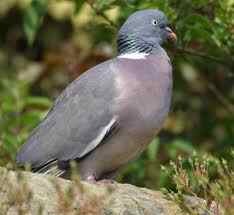 There is a detailed description of the new boundaries in Dove Note 17 of the Amended Dove and Band-tailed Pigeon Regulations for 2013-2014, which can be found only online. A useful map of Arizona Game Management Unit 25M Restricted/Limited Hunting Boundary is posted on the website and ready to download at this website www.azgfd.gov/dove. An amendment was added on Aug. 3, after the 2013-2014 dove regulations had been posted online and printed in hard copy. This change opens additional areas to hunting near Tucson in Avra Valley, units 36C and 37A. Those details are set out in Dove Note 21 on page 12 of the Amended Dove Regulations, available only online. This change is not included in the print version of the 2013-2014 dove regulations. If you or any of your fellow hunters are planning a dove hunt in the Tucson area, remember to visit www.azgfd.gov/dove and check out the additional open areas described in Dove Note 21. Remember, it's your job as a hunter to know the regulations and abide by the rules, no matter how new the changes may be. Now's the time to visit www.azgfd.gov/dove and download your own copy of the amended dove regulations and new maps. You'll also find a quick-guide to shooting hours, new possession limits, license and migratory bird stamp requirements, hunting and mentoring events, mobile-friendly links, dove recipes and great tips for making this your first, best, or most memorable dove season ever. Online mapping tool is one-stop resource for planning your hunt. Recreational Access Arizona now includes "where to hunt" links for each unit. Arizona's fall hunting seasons are right around the corner and hunters are busy making plans. 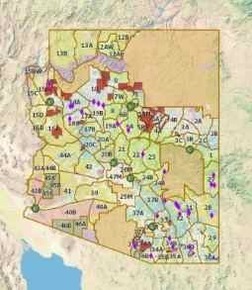 To better assist hunters in their planning, the Arizona Game and Fish Department has enhanced its innovative web-based mapping tool, Recreational Access Arizona, available online at www.azaccessmap.com. Each game management unit (GMU) now includes a link to the wildlife manager's report, providing useful information on where to hunt, which species are in the area, unit boundaries, and more. These reports include tips collected over time by the unit managers that will answer the most commonly asked questions. 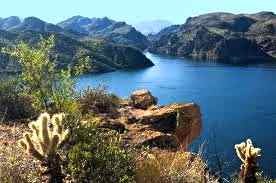 With a few clicks of the mouse, Recreational Access Arizona also lets you zoom in on a map of a specific area, view land ownership, find recreational access points, and see where water catchments are located. Recreational Access Arizona is not yet compatible with all devices, but the department plans to upgrade it in the near future. "The department has always received a large number of calls about where to find wildlife waters, what areas are open to hunting, and in general just where to hunt for any given species," said Al Eiden, landowner relations program manager for the department. "Over the past few years, the department has been tracking the most commonly asked questions. To meet the needs of customers quickly and efficiently, the department developed Recreational Access Arizona, a customizable tool created specifically to help hunters, anglers and outdoor enthusiasts plan their trips at their own pace and in their own homes." Recreational Access Arizona features a full range of tools for creating and customizing your own personal hunt map with road and topographical information, GPS coordinates, satellite images and much more. Customers can find the answers to most of their questions at any time, day or night, without waiting to make time-consuming phone calls to the department during business hours on weekdays only. The information is now at their fingertips 24/7. Get started by clicking on the "How to Use the Map" link for easy-to-understand tips. You can include only the areas, map views and information you want, and leave out all the rest. When you're ready, print out your custom hunt area map right at home, or go to a professional printing service or office supply store for a larger detailed version of your own personal one-of-a-kind map. For more information, visit www.azaccessmap.com. Roosevelt Lake: After Saturday afternoon's storms passed Roosevelt, bass were biting on almost anything.